SEOUL, Jan. 19 (Aju News) -- With just three weeks left to go for next month's Winter Olympics, the coach of South Korea's female short-track speed skating team was suspended this week for beating a strong gold medal favorite, disrupting the team's training and morale. 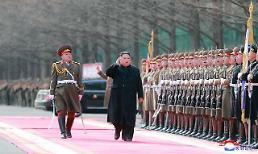 Two days later, Shim returned to the camp after the Korea Skating Union (KSU) suspended the coach pending an official probe, sparking public anger and apprehension about South Korea's Olympic medal race. The union said in a statement on its website Thursday that there was an unspecified problem between athletes and a national team coach during their training. "Currently, the athletes are under training without any problems," it said. Union officials said Shim resumed training Friday after a veteran coach who once managed the national team took the helm. 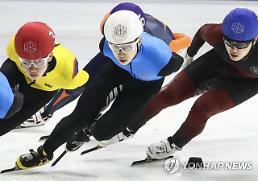 Short-track speed skating is expected to spearhead a South Korean campaign to win at least eight gold medals at the Winter Games in the eastern ski resort of Pyeongchang. So far, South Korea has won 26 Winter Olympic medals, with 21 of them coming from short track. Shim is well known as the child prodigy in short track speed skating. She exerts an explosive speed boosted by her long legs, making her one of the world's most formidable players in the 500m 1,000m and 1,500m races. Cho, credited with finding Shim's talent, has mentored her since the early part of her career. With his help, Shim won a gold medal in the 3,000-meter relay at the 2014 Sochi Olympics, a silver in the 1,500m and a bronze in the 1,000m. 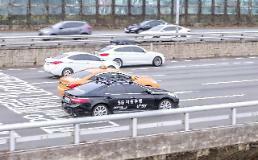 The scandal sparked an uproar, with many sports fans blasting the coach and the union for putting a promising gold medalist into trouble. "The violence among athletes and coaches has long been a problem. 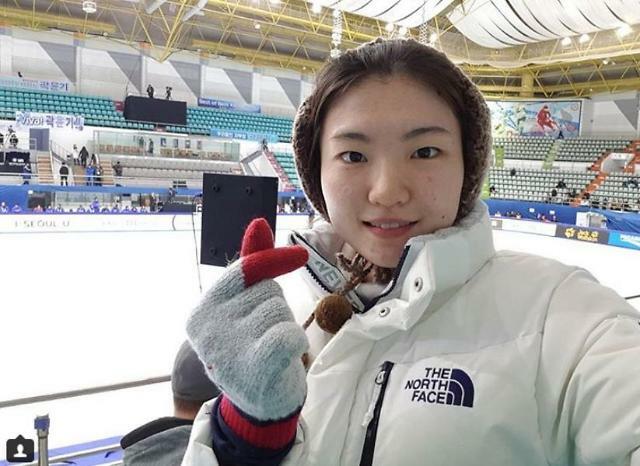 I think Shim should go to some other country where she would be treated better," said "Kudal", a user in "Naver", South Korea's largest web portal, referring to Victor Ahn, a former short track prodigy who won 43 gold medals at international skating events. 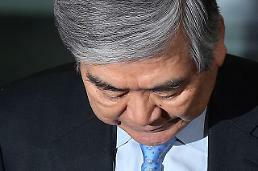 Complaining about mistreatment and beating in South Korea, Ahn abandoned his nationality to become a Russian citizen. Respected as a national hero in Moscow, he now trains Russian skaters. "No violence should be tolerated," said "Orc Enemy", another Naver user. "No coach can improve an athlete's skills by being beating him up." More than one hundred supporting messages filled Shim's Instagram. "We will support you all the way! We will be right next to you at all times!" wrote "sw_alang", an Instagram user, on Shim's Instagram.